Mais oui, c’est trop simple! Reflecting that a decade ago the book titled French Women Don’t Get Fat was a best-seller, Gavin Mortimer of The Spectator (20 October 2018, p10) decides that it is time for a sequel: Why French Kids Don’t Get Fat. Ironically I pick up the NZ Herald (29 October 2018, pA7) and read a story in which a woman here in Auckland who has shed 50kg for the sake of her health. She gives her views on the health implications of obesity. She has certainly earned that right and her main targets are the fatty-food outlets that are killing children. In some pooer areas “there are takeaway joints everywere you look,”she says. She tells of being appalled to learn that a catalogue of illnesses and diseases which kill are brought on and/or certainly aggravated by the poor dietary habits that this situation encourages. Obesity, alcohol and tobacco are identified as the three men of the Apocalypse. There used to be four horsemen but one died of drug abuse and sugar overload. But the issue goes more deeply into the community. Is New Zealand prepared to make the hard calls that will protect young people from the ravages of the fast food industry, the sugar drink industry, the tobacco industry? And is the community prepared to show a bit of spine in demanding a better deal for its children. Schools are a key site for not only banning the danger foods but also for educating young people about health and about the simple understanding that what we put into our mouths will either sustain us or damage us. Schools face the dilemma of the healthy tuck shop under pressure to give in to pastry, sugar and processed foods and if they don’t stock them the dairy and the supermarket down the road will. Mortimer gets onto the offensive. Of course this is a complex set of issues – not least whether or not NZ schools could learn from French schools even if they had the will to. The immediate default position would that teachers already have too much to do and I agree with that. But… there is a solution to that too. It started with my sitting down to my cornflakes, opening the NZ Herald yesterday and reading that the New Zealand schooling system has become slightly more equal. That’s good news! As someone who has a deep professional interest in such matters, it seemed that the tide of inequity was turning. However the pleasure of this disappeared as quickly as the milk in the bowl as the article revealed that this was the result of the richer students slipping downwards while the poorer students raised their achievement a little. The improvement you get when you don’t get an improvement! Simon Collins had distilled from the report the essential nub of the equity issue in education. The current schooling system cannot and has never led to equitable outcomes for all students. The lift for poorer students was recent and slight. The downward drift of the richer students has been shown steadily in the past nearly twenty years of data. The NZ Herald article goes on to describe the gap as “huge” and as previous reports have noted it is “the equivalent to about three full years of schooling.” New Zealand is worse because it has a very low score compared to the average. I have over many years drawn attention to the inability of schooling to hold the attention of a significant number of students in the Year 10 to Year 13 age group. It is where disengagement has become a feature, where a number of students are yet to find purpose in the schooling and is a time for many when a pathway to a future is no longer apparent. Again New Zealand is simply weak in this area, it is as weak as Australia and 29 (out of 35) OECD Countries. This is the very statistic the drove me towards seeking a different way of working which led to the development of the Tertiary High School. Has this development and the pathways that followed – trades academies, dual pathway programmes, Youth Guarantee fees free – had an impact? Since 2010, a total of approximately 84,000 students have been shown new pathways through these developments. It might be helping but it is far too early to declare victory for equity in all this. We are short of teachers! So is most of the western world and answers to this situation do not come easily. Increasing the supply of New Zealand Graduates who wish to teach should be the first consideration. I personally do not subscribe to the theory that more money is the answer (see below) because current entry level wages are competitive with the entry levels for all but a few university graduates entering other professions at first degree level. Graduating students with higher degrees and in a few selective occupations and the high fliers will need higher entry levels of payment to be attracted across to teaching. But, having said that, levels of salary are critical to the retention of teachers and the salary structure of teachers salaries needs to be addressed to provide for an appropriate level when young graduates hit say five or six years of service. I am not aware that the review of Tomorrow’s Schools will address the issue but perhaps there is a clear role for Boards of Trustees to have access to funding to reward young teachers who are making an energetic contribution to the school. It is often the case that young teachers arrive and get into the activities of the school with energy and youthful enthusiasm but this seems not to impact on the rewards. I am not going to raise the issue of performance pay because there is simply no appetite among the leadership of the profession for any move in this direction. But the preferred response to teaching shortages seems to be to import them from other countries. Bernard Salt, Australia’s highly respected demographer, has previously prediced that it will be around this period of time that a demographic faultine would develop and lead to severe shortages of skills in most western countries matched by a determination to address this through the importation of skilled labour from both countries similar to us and the those developing countries that will by then be wanting to retain their trained and skilled workers in order to support their developing economies. In short, we will need to dig deep in our own garden and find new supplies of teachers from among the people we already have. So it is not simply that teaching is a profession that seems less attractive these days but rather that the supply of suitable labour is subject to the forces that Salt outlines. In Australia, for instance, Education ranks up amongst the group of careers that is generating most job growth ( Health, Social Assistance, Professional Sertvices and Construction are its competors). The old theme of “let’s go to the United Kingdom and get some teachers” has been done before. In the late 60’s and early 70’s selected senior Principals would be sent over to interview the prospective applicants armed with lists of schools, subjects and vacancies. No doubt this approach worked. I know of one teacher who was offered a job in a South Waikato school and accepted on the basis that it looked quite close to Auckland (his preferred location) on his daughter’s school atlas. But he made a huge contribution at several schools as he continued his lifetime commitment to his career (in Auckland!). Over the past decade New Zealand has had numbers of teachers from South Africa and India. Similarly they have added greatly to the diversity and quality of the New Zealand schooling system. Getting an experienced teacher entering the profession should be an advantage but getting young New Zealanders and New Zealanders of all ages interested in seeing teaching as a an enriching and rewarding first or second career is the challenges. And that won’t happen until teachers in the profession themselves believe that it is. Conferences often have great appeal especially when they are characterised as a “world congress.’ And while the programme basks in the glory of X plenary sessions, Y presenters and Z delegates, the highlights generally originate from the casual conversations with some of the folk who are there, the ideas you scoop up and note in notebooks or on scraps of papers and the general enthusiasm generated by the conference/congress theme. applied learning plays a part in the transition from school to work. Inevitable in these kinds of summary advice lead to some simple (simplistic?) pieces of advice. Start where students are at. Negotiate the curriculum. Engage in a dialogue with students about their curriculum. Share knowledge. Recognise the knowledge students bring to the learning environment. Connect with communities and real-life experiences. Build resilience, confidence and self-worth – consider the whole person. Integrate learning – the whole task and the whole person. In life we use a range of skills and knowledge. Learning should reflect the integration that occurs in real-life tasks. Promote diversity of learning styles and methods. Everyone learns differently. Accept that different learning styles require different learning or teaching methods, but value experiential, practical and ‘hands on’ ways of learning. Assess appropriately. Use the assessment method that best ‘fits’ the learning content and context. providing a meaningful context for learning both theoretical concepts and practical skills. The point of regaling all this to you is to emphasise that there is developing some level of international agreement which was clear at the Congress about the value of applied learning, about its importance in moving education systems closer to the key purpose and role of education in supporting economic development through expanding the size and competence of the skill base on which the future of economies rely. I used to think that the failure to do this was quintessentially a feature of English-speaking education systems but it was heartening to see the progress being made in this regard in many countries. Of course the principles outlined above seem a little commonplace – they are but they are crucial. There are people who think strategically with their gaze fixed firmly on the rear view mirror. Others base their views of the future on nostalgia. This is, of course, served up with huge dollops of sentiments around “keeping that which we cannot afford to lose.” These thoughts are usually recollected through a haze by people who believe that they are the privileged ones (they usually are in fact) ordained to protect those who don’t know what’s good for them (they usually do but no-one asks them). 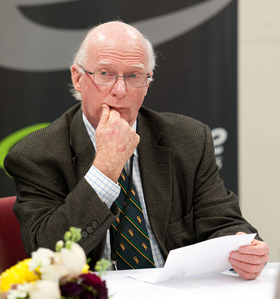 NCEA was comprised during its difficult birth by the introduction of features that have their origins in a hankering for elements in the assessment systems of the past that were being replaced. I remember the delight of the NZQA staffer who announced to the assembled Ministers Principals Lead Group in the early 1990s that he had an answer to the charge that NZEA does not reward those who are, for one reason or another, simply better than others. “Let’s have different levels of ‘Achievement’ rather than the then proposed ‘Achieved /Not Achieved’ that students were to receive depending on whether they had or had not demonstrated that they had met the standard”. And so the triplets ‘Achieved’, ‘Merit’ and ‘Excellence’ were born to the delight of some and the unease of others. It was to be a staged bell curve that preserved the elements of the old examination system – “scholarship” later added weight to the impact of this. Never mind that it was an abrogation of the notion of standards based assessment. Forget that there were other more profitable ways to take account of the levels at which students could achieve – tackling higher levels and moving more quickly are two that spring to mind. That reminds me that another genuflection to received practice is the packaging of NCEA into organisational bits separated by Christmas. Schools were used to marshalling students and delivering curriculum in age-related batches called “Forms” and more latterly “Years” and it seemed necessary to deliver NCEA as if it was a programme rather than a set of assessment standards to be applied to a programme. Immediately we had the slavish pattern of Year 11 = Level 1, Year 12 = Year 12 and Year 13 = Level 3. Students who could move more quickly were denied an opportunity to do so. While there has been some loosening up this rigidity remains. The gear was geared to retaining students for 13 years despite evidence that this is not bringing benefit to perhaps 60% of students. That is not the case everywhere. At the MIT Tertiary High School students, from the time they arrive, are able to get credit at all levels with an outcome that sees them “getting level x, y and z” as something that happens when they get there rather than at the end of a year. The stages emerge as they accrue the assessments within the programmes they study. Again, nostalgia seems to rule NCEA. In fairness this might also have been encouraged by the manner of its introduction. The current Hon Speaker of the House, Min of Ed at the time, determined that the three year set of qualifications would be introduced incrementally avoiding some significant disruption to the schools. The relatively low number of students gaining a Vocational Pathway designation highlights the extent to which it is not being used as a curriculum organizer. Students are not getting on to pathways that take them beyond secondary school and into employment. Imagine if that longstanding example of standards-based assessment, the New Zealand Drivers Licence, was to be conducted in the tradition of the norm-referenced examination system that NCEA replaced. All of the prospective drivers would turn up at the testing station at the same time on the same day. As the group was too large to cope with a test involving driving a car they would settle down to answer a written test about the practical elements of driving. They would complete a multi-choice test on the rules. They would of course have been told not what specific knowledge and skills were to be tested on but rather given a huge amount information some of which was important for the test. More importantly half of the students would fail regardless of the level of their knowledge. Before you rush to say that would be a good thing remember that half would also pass regardless of the level of their knowledge. All we would not have any clear evidence for any of the students of what they can do or perhaps cannot do when they sit behind the steering wheel and start the engine. NCEA is a mechanism whereby students and their parents and caregivers can steer their way onto productive pathways. It is time that students and their parents/caregivers were put into the drivers seat.